Gerald Celente with the Trends Research Institute has been very vocal over the last few years when it comes to exposing the completely corrupt environment that we call the modern financial system. Gerald Celente is fond of saying ” current events form future trends” and if you look at today’s events it seems obvious we are headed for financial collapse. In my opinion this is a good thing and part of the process, although it means for many of us the loss of our jobs, our homes our bank accounts and “when people lose everything they lose it” another Celente quote that he is fond of saying. Gerald sees the Wall Street crowd as essentially the Mafia who have bought and paid for their politician puppets in the District of corruption. And I have no argument with him there, it’s seems to be common knowledge now that special interests a.k.a. corporate America is running this country and most of the Western world for that matter. Can you say fascism ! So check Gerald out , he is very well informed on all the geo-political and economic aspects of the Madness that has taken over wall street and the world in general, and he may be of assistance in helping you to ” Navigate The Apocalypse ” ! 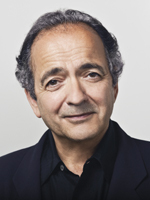 Check out the books below by Gerald Celente ! The Boy From the Bronx Gerald Celente what’s in store for 2011.